The Russian Chess Federation is organizing a number of events dedicated to the 100th anniversary of the 6th World Champion Mikhail Moiseyevich Botvinnik (17 August 1911 – 5 May 1995). Besides the grande event with the World’s top players and a strong open in Sankt Petersburg, the RCF is hosting a seniors’ tournament from 15th to 19th August in Suzdal-Vladimir Oblast. Legendary players from Botvinnik era compete in the round robin rapid tournament with the time control of 25min + 10 sec/move. Former World Champion Boris Spassky was set to make an appearance but eventually GM Oleg Chernikov took his place. 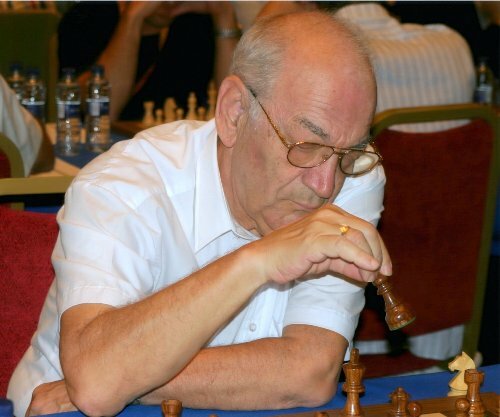 After six rounds of play Viktor Korchnoi took a convincing lead with five points, full point and a half ahead of the group of players. Chief arbiter is Yuri Averbakh. The prize fund is 14200 EUR.